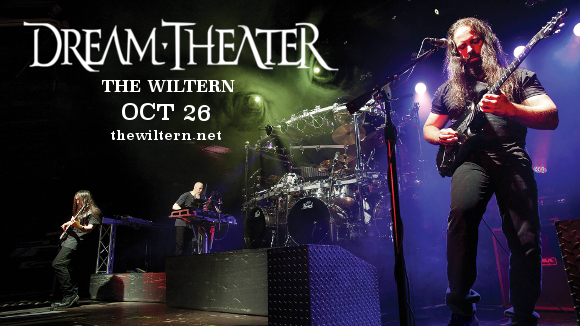 Dream Theater fans, it’s the show you’ve all been waiting for – the iconic progressive rock band comes to The Wiltern on Thursday 26th October 2017 in celebration of the 25th year of their album “Images And Words”! It's going to be an unmissable night so be sure to book your tickets in advance and get on down for an evening you won't forget! “Images and Words” is Dream Theater’s second full-length studio album, released in 1992 is the band’s best-selling album to date, and is often hailed as a hallmark in the progressive rock genre. Described as "a masterpiece and also a historical album” by Metal Storm, the album "brought something totally new to the scene, this famous progressive metal sound that would become Dream Theater's signature”. The first work to feature James LaBrie on vocals, who remains part of the band’s lineup, Dream Theater will perform the entirety of “Images and Words,” live in concert. Get your tickets now for what promises to be a truly incredible experience! !